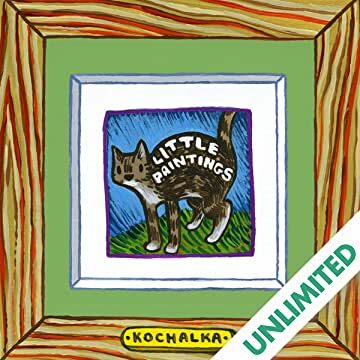 This book collects several hundred of Kochalka's best little paintings from the last decade. Kochalka began making little paintings as something to sell to fans at conventions, but they quickly became a consuming obsession that led to several incredibly successful gallery shows at Giant Robot. 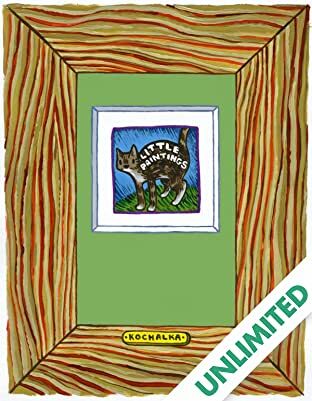 Dozens and dozens of cute kitties and fuzzy creatures dominate the book, but as with all Kochalka's work, a deeper theme flows through the undercurrents... in this case it's contemporary America's emotional plight following the harrowing events of 9/11. Ultimately, Little Paintings is a celebration of the triumph of imagination over the harsh realities of the physical world. Very beautiful.